At least once a week, nine-year-old Durga starts her day cleaning the floor of her classroom. She studies in a primary school in Kankrel village, in Amber block of Jaipur in Rajasthan. While students come at around 9 am, teachers arrive only at 10. Students here take turns to clean the floor of the classroom and the names are decided in advance. The school has been equipped with basic infrastructure. It consists of concrete building with three classrooms, one of which is locked and not operational. Students wear uniforms and have books to read. There are two teachers for the total strength of 19 children in this primary school. 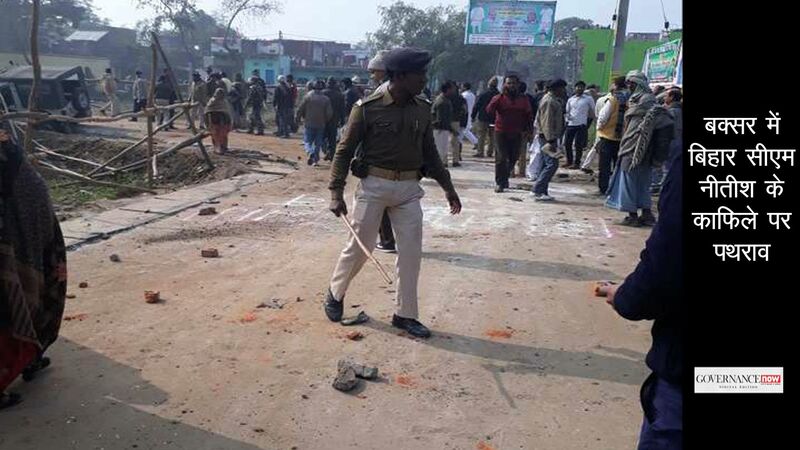 There is no electricity connection and no toilets. Desks are missing and children sit on a durri. Durga who studies in class five has to share her classroom with children from grades three and four. During lunch hours, at around noon, she along with her friend carries big utensils filled with mid-day meal on her head. She leaves for home after the mid-day meal. In between all the activities she studies. She wants to learn and thus never miss coming to school. But when asked if she could read her textbook, the answer was no. This is how most of the schools in rural India operate. And many like Durga, despite being part of the education system for years, are not learning yet. In April 2010, the central government brought a law guaranteeing the children access to free and compulsory primary education. Based on a simple idea of universalising education, the law brought with it a lot of hope. It also mandated several facilities including building and infrastructure, student-teacher ratios, working days for schools, working hours for teachers, and appointment of trained and qualified teachers. But what the law did not really focus on was the learning outcomes. Since 2010, the law has been facing several challenges in effective implementation. 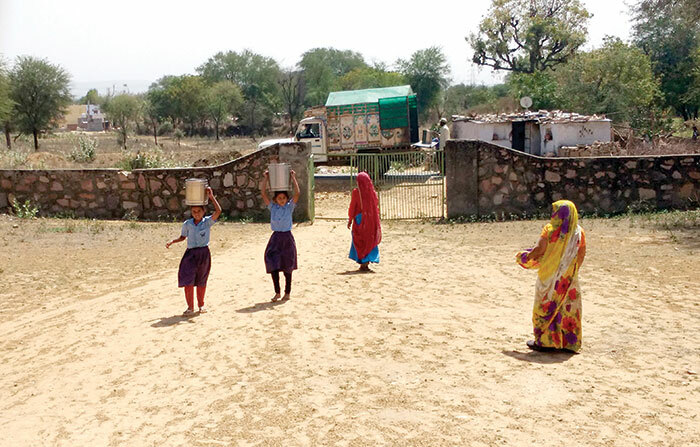 While the enrolment has certainly gone up over the years, many schools lack basic facilities. And education or learning still remains a distant dream for most of the children. The law also mandated that no child be held back in class until they complete the elementary education (that is, up to class 8). Though the students get promoted to the next class, they do not learn what they should in a given class. Most children studying in government schools cannot really read. And if they can read, most of them do not really understand what they are reading. While there have been many attempts to bring reforms in the school education system, the nationwide learning assessments highlight that the situation on ground is still bleak. There has been little progress as far as the basics of reading, writing and arithmetic of schoolchildren are concerned. The Annual Status of Education Report (ASER), released in January this year, broadly reflects the same numbers on learning outcomes which the report did a decade ago. The report shows that India continued to fare badly in the overall learning level. The results of the reading level and understanding of mathematics are disastrous. The report is based on the largest annual household survey in rural India and focuses on the status of school education and learning. The Niti Aayog has also acknowledged in its three-year action plan that the RTE in the present form stresses on resources like building schools, classrooms and hiring teachers but is ignoring learning. The RTE brought with itself a legal entitlement of elementary education for children in the age group of 6-14 years. The law focused majorly on the infrastructure. Every school had to be equipped with a basic set of facilities like an all-weather building, availability of drinking water, toilets etc. It was also important to meet the requirement for student-teacher ratio. The main responsibility of implementing and monitoring the RTE Act lied with the state governments and local authorities, whereas the financial responsibility has to be shared by centre as well as state. Only in February this year, the HRD ministry issued a notification on bringing amendment to the RTE Act by including the provision for the preparation of class-wise learning outcomes. This has been done with an aim to fix the responsibility of schools to perform and ensure they deliver quality education. According to amendments in the rules, schools can face government action if they fail to help their students achieve specified learning outcomes. Though it is seen as a welcome step, experts have their own apprehensions. Unless the government bring changes in the governance and delivery of the education system, the desired results will never be achieved, they say. Also, the cut in the budget allocations reflects that education remains a low priority of the government. “It is not that a particular aspect of the law is not being realised. The education sector per se is in a crisis,” says Bhatty. She says that the RTE was expected to be a game-changer in the elementary education. But the government’s architecture for education is pretty much collapsing. “Budget in absolute terms may have gone up but the demand has gone up much more. With the law we expected that authorities will be forced to provide the education, appoint teachers and fill the vacancies. But the government has completely turned a blind eye,” she asserts. Efforts required to appoint and train qualified teachers have been missing. The government has not really invested in training teachers and hiring qualified teachers. “We put blame on them (teachers) without understanding the circumstances under which they perform. The nature of a teacher’s job has little to do with the teaching,” says Bhatty. Money is the problem but the intent, prioritising the issue and the political will are other factors which act as bottlenecks. Bhatty says the law has really not made any difference. Meanwhile, at present, there is huge shortage of teachers. 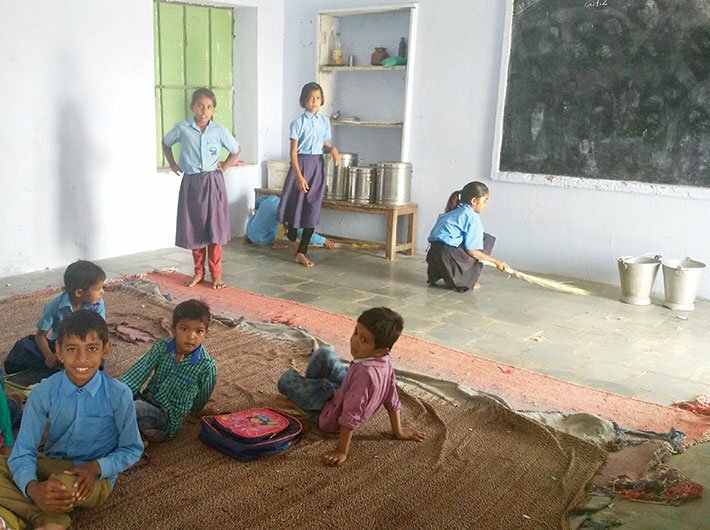 The HRD ministry’s data released in December 2016 shows that approximately 18 percent of position of teachers in government-run primary schools and 15 percent in secondary school are lying vacant across the country. This means there is a shortage of about 10 lakh teachers. Most of the states are resorting to contractual and assistant teachers. The situation is no different even in the national capital. Government schools spend more on children than private schools do, but are not really helping them learn. And teachers’ salaries form the highest component of the government school expenditure. Government teachers thus get a large share of public fund and it is essential to increase their accountability. Vacancies are huge partially because the government has not put the right amount of budget and mostly because of other factors which make it difficult to hire them. “There is no doubt that we need more teachers and better teachers. But it is equally important that we make them accountable for learning,” says Yamini Aiyar, director, Accountability Initiative. 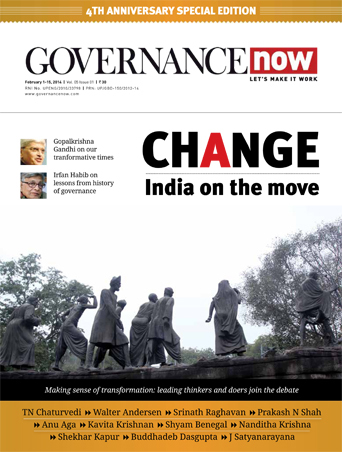 While there has been some recognition of the criticality of improving the quality of learning in government schools, the planning and budgeting systems remain aligned to input and school infrastructure focus school education, says Aiyar. She highlights that 70-80 percent of the budget for Sarva Shiksha Abhiyan (SSA) is used for teachers’ salaries and the school infrastructure. The SSA is the flagship elementary education programme which was launched in 2001. It is the primary vehicle for implementing the RTE. In recent times there have been massive efforts towards measuring learning. It, however, has not been linked to any aspect of planning and budgeting. “Learning is certainly the stated priority and is part of the policy push. However, in terms of resources available with the government to implement it, the priority has not really got reflected,” Aiyar says. She also points out that the education budget has remained more or less static in recent years and it has affected the allocation that was to be provided for learning enhancement. While the country is still struggling to figure out a possible solution, Aiyar suggests a planning and budgeting architecture with building a learning plan for five years. “The Delhi government is doing an interesting experiment. This is the only government where the political establishment has really come to terms with the problem of learnings and has expressed commitment to change it. They are also recognising some really difficult issues and are coming up with solutions like the reading camps. They are getting the fundamentals right by building a cadre of teachers who will only focus on pedagogy. I have not seen this kind of energy by any other state,” she says. She says that authorities are concerned about learning outcomes. The big thing about learning is the assessment and today there are far more assessments happening than it was ten years ago. Seven years after the launch of RTE, it is high time we looked out for ways to enhance fundamental learning in schools. There is a high price to pay for endless delays, and it is being paid by many like Durga.